What is the “Testament of Job”? Unlike the Testament of the Twelve, the Testament of Job is an independent text which has been edited by Christians, although the original text likely dates to the first century. The book takes the occasion of Job’s last words to his even sons and his three daughters, identified as Tersi, Choros, Hyon, Nike, Phoros, Phiphe, Phrouon, Hemera, Kasia, and “Amaltheia’s Horn.” These names of Job’s daughters are found in LXX Job 42:14, the names of his sons are clearly Greek. 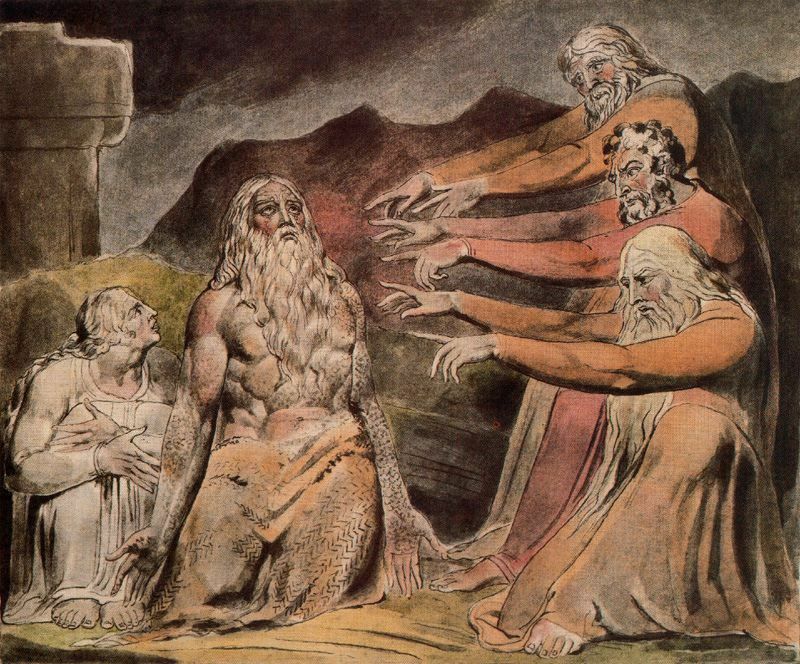 The author attempts to tie Job to the family of Abraham, claiming is from the “sons of Esau” and “your mother Dinah” (1:6). The Testament of Job was most likely written in Greek during either the first century B.C. or A.D. Spittler considered it likely to have come from the Egyptian Jewish sect known as the Theraputae (OTP 1:833). Spittler’s assertion is not without opponents, as he himself admits. D. Rahenführer, for example, argues the book is a pre-Christian non-Essene text which served as a propaganda tool for missionary Hellenistic Judaism (cited by Spittler). The book may have been re-worked by a Christian writer, possibly as much as chapters 46-53 are Christian additions. Spittler believes the book was re-worked by Montanists in the second century, especially in the second generation of that movement (OTP 1:834, see also Spittler, Testament of Job unpublished dissertation:, Ph. D. Harvard University, 1971). The value of the work for New Testament studies is limited by the uncertainty of the provenance. If the work does represent some of the ideas of the Theraputae then we have evidence of another variety of Judaism in the first century. If the book was re-worked by the Montanists, however, it may be difficult to tell the difference between Montanist and Theraputae theology. Either way, the book represents a fringe element of Judaism and / or early Christianity. The book is listed as a “testament” in OTP, but it could just as easily have been listed as an expansion on an Old Testament book. There is a testament-like gathering of children to hear the last words of a patriarch, but the bulk of the book is an expansion of the Job story. Bibliography: Knibb, Michael A. and Pieter Willem van der Horst. Studies on the Testament of Job. Cambridge: Cambridge University Press, 1989. The papers from the 1986 and 1987 meetings of the Studiorum Novi Testamenti Societas Pseudepigrapha Seminar; Spittler, Russell A. Testament of Job. Unpublished dissertation:, Ph. D. Harvard University, 1971; Spittler, “Testament of Job” in OTP 1:829-868.